'It's lovely to live on a raft. We had the sky up there, all speckled with stars, and we used to lay on our backs and look up at them' Huck Finn spits, swears, smokes a pipe and never goes to school. With his too-big clothes and battered straw hat, Huck is in need of 'civilising', and the Widow Douglas is determined to take him in hand. And wouldn't you know, Huck's no-good Pap is also after him and he locks Huck up in his cabin in the woods. 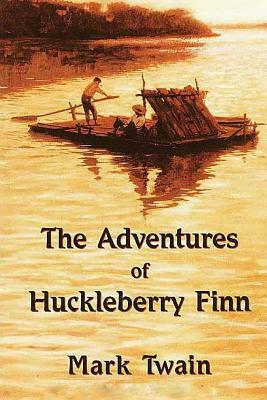 But Huck won't stand too much of this, and after a daring escape, he takes off down the Mississppi on a raft with an runaway slave called Jim. But plenty of dangers wait for them along the river - will they survive and win their freedom?